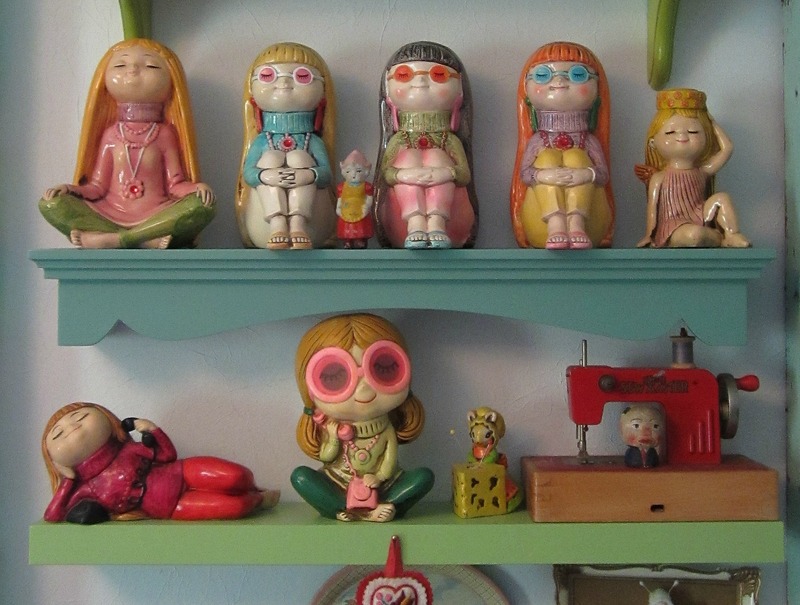 My collection of vintage paper mache/pressed paper banks of “hippie girls” has been growing. Also I just found a mate for this mod girl that sits at the top of this display box. 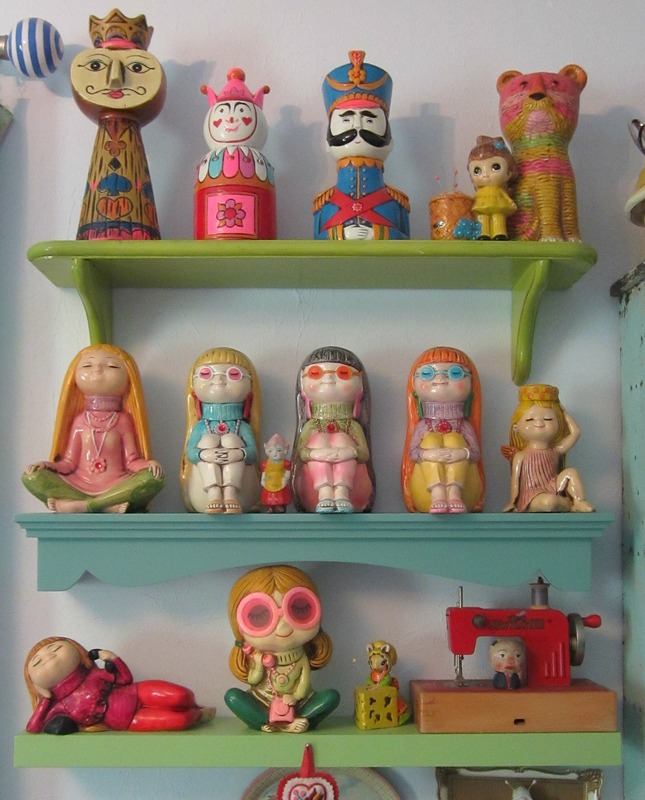 Here is a wide shot of the whole gang that sits on these shelves. It’s a happy and colorful display. I LOVE your hippie girls!! And everything else, too. We like the same things, that’s for sure. 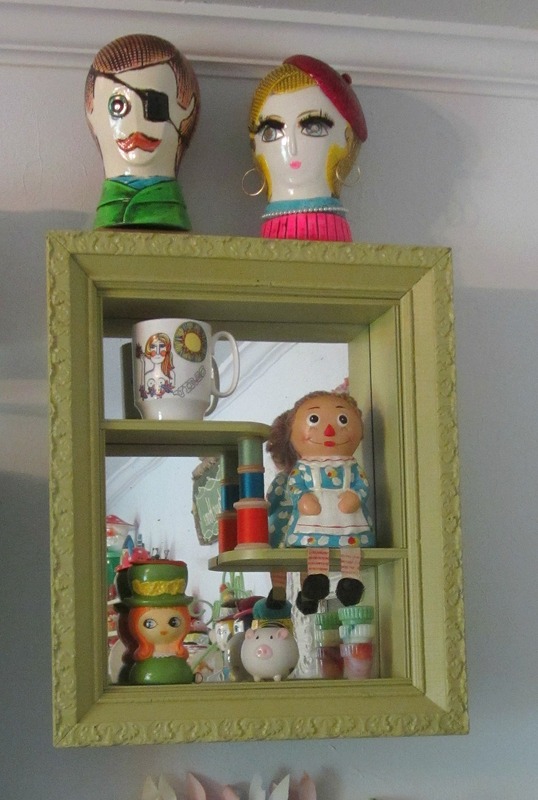 I have some of the same banks and pin cushions that you do. Some day I will find a way – and a space – to display them in a better fashion than I am currently. I just love to look at them. And I also love seeing your collections! Keep ’em coming!